Astigmatism is one of the most common of all vision disorders -- but it sometimes imposes uncommon demands on its sufferers. This abnormality of the corneas can blur your vision at all distances, and the abnormal corneal curvature can present some special challenges for contact lens wearers. Fortunately, Lickteig Family Eyecare in Boston can help you get exactly the right kind of contacts to give you the clearer vision you seek. What exactly is astigmatism? Astigmatism belongs to a class of vision disorders known as refractive errors. If incoming light isn't refracted by the eye so that it falls perfectly upon the retina, the images sent to the brain are likely to appear fuzzy or blurry. In the case of simple farsightedness or nearsightedness, the length of the eyeball interferes with normal refraction; in the case of presbyopia, the lens of the eye becomes too stiff to change focus easily. But astigmatism occurs in the cornea, that transparent sphere in front of the lens. A misshapen cornea will "bend" the light in abnormal ways before it can reach the retina. Eyeglasses do a good job of correcting most cases of astigmatism but when it comes to contact lenses, standard soft contacts often fail at this task. That's because these lenses are designed to conform to the shape of the cornea. 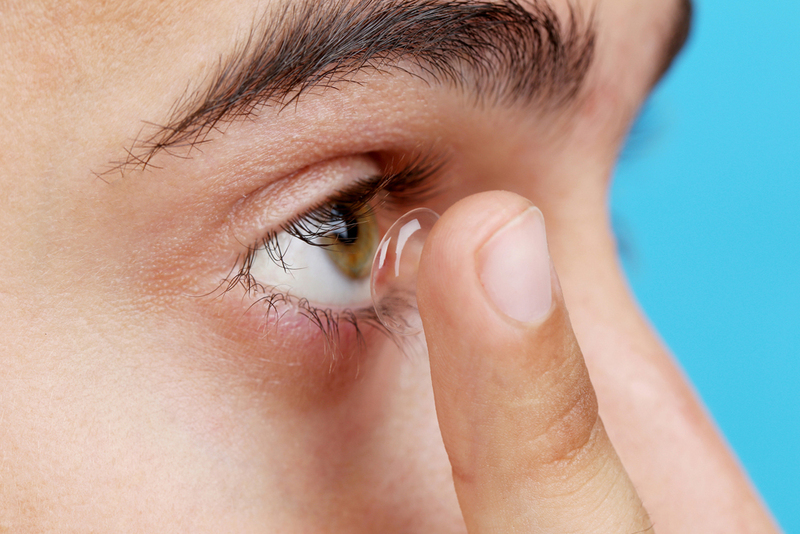 When the cornea's shape is significantly abnormal, standard contact lenses can't correct for that abnormality. GP lenses - Gas permeable lenses are rigid enough to maintain a consistent curvature for better astigmatism correction. Hybrid/Piggyback lenses - Hybrid lenses are GP lenses with an extra-comfortable soft rim. Piggyback lenses position GP lenses on top of soft lenses for a similar combination of clarity and comfort. Toric lenses - Toric lenses are weighted and shaped so they resist rotating on the cornea. This is useful for correcting specific zones of distortion. Scleral lenses - Scleral lenses extend over and beyond the entire corneal surface to compensate or severely irregular corneas. Don't let astigmatism throw a curve at your desire to wear contacts instead of (or alongside) glasses. Call any of our Boston optometry offices so we can schedule the solution to your astigmatism issues!